These beautiful, delicate rainbow creams were inspired by thoughts of becoming a mermaid. The glisten and shimmer of a mermaid’s tail, the glint of a bird or a butterfly’s wings, the beauty of dewdrops, refracting light after a Spring rain, are the many muses which helped bring to you this uniquely creative concept. 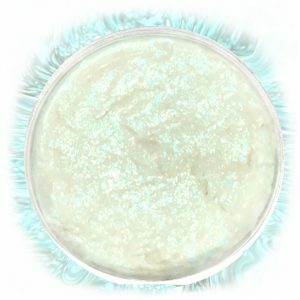 Skin-nourishing botanicals whipped into a blended mousse with the magic of silky soft, sparkle interference pigments, glitter the cheeks, chest, or arms, conspiring to turn you into a fae, traipsing in the forest, or a mermaid spinning to the depths of our beautiful oceans. Too tired for makeup? 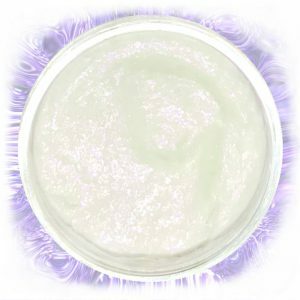 Gently spread some Whipped Mousse Rainbow Goddess Sparkles on your cheeks, add mascara, and viola! Bring your mood to the forefront, with shades of violent, blue, green, gold, and pink; every refraction of the rainbow to express who you are when you allow your imagination to come out and play. Each beautiful sparkle shade is named after a Water Goddess from cultures around the globe, so, celebrate your feminine strength and beauty and bring awareness to the plight of our waterways. 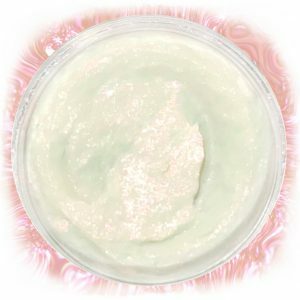 Ingredients: Water, Organic Apricot Kernel Oil, Organic Jojoba , Cetearyl Alcohol, Sodium Stearoyl Lactylate, Cetearyl Glucoside, Xanthan Gum, Essential Oils of Rose, Rosewood and Lavender. 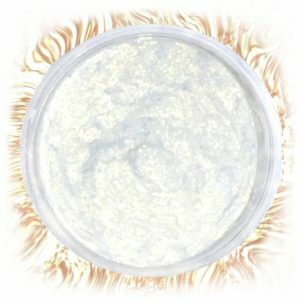 Color Ingredients: Mica, Titanium Dioxide, Iron Oxides. 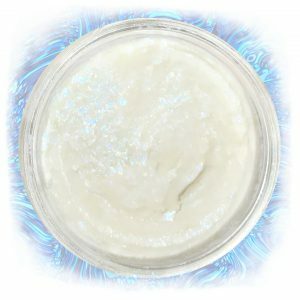 Click here to check out a new review of this product by VeganBeautyReview!